This is a prayer calendar for parents. Print off your free copy today and start praying intentional, focused prayers for your children! Wow! 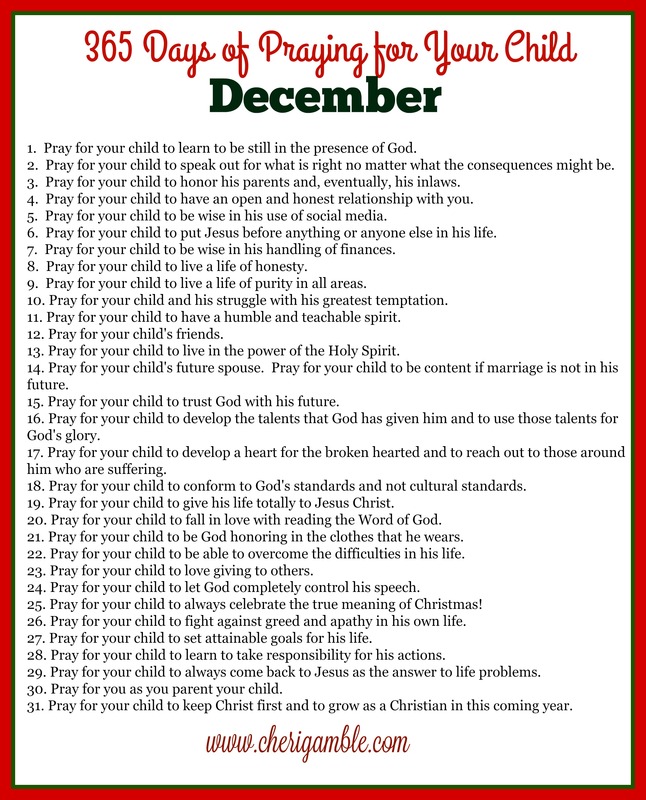 It’s hard to believe that we are at the last month of the 365 Days of Praying for Your Child challenge. How did you do this year? Were you able to follow through and spend time every day praying for your child? I hope that the calendars I provided helped you in that area. If you were not as faithful as you would have liked to have been, don’t let it worry you. ANY praying is better than NO praying! Make a goal to stay consistent in your prayer life and then let God help you grow in that area in this coming year. YOU CAN DO IT!!!!! 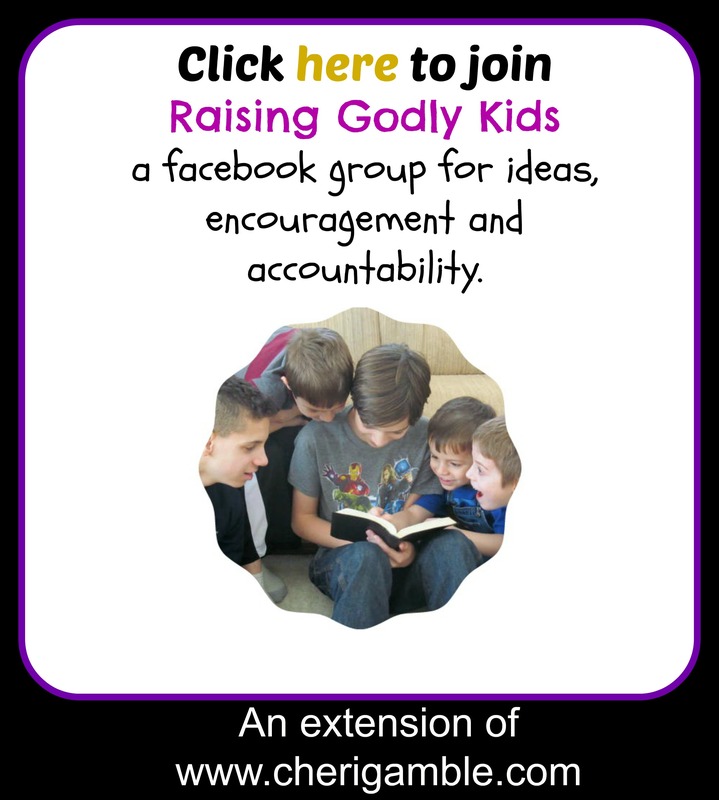 If you’d like to join an online community of accountability, encouragement and ideas as you raise your children for Jesus, please come join our facebook group. Also, I would love it if you would like my page on facebook. I try to fill my page with encouragement for those who are raising godly kids in today’s society. If you have kids at home, be sure to print off this month’s prayer calendar just for them! And, you might also want to participate in the Christmas Bible Reading Plan with your family. This is a great way to keep Christ at the center of all you do this Christmas season. 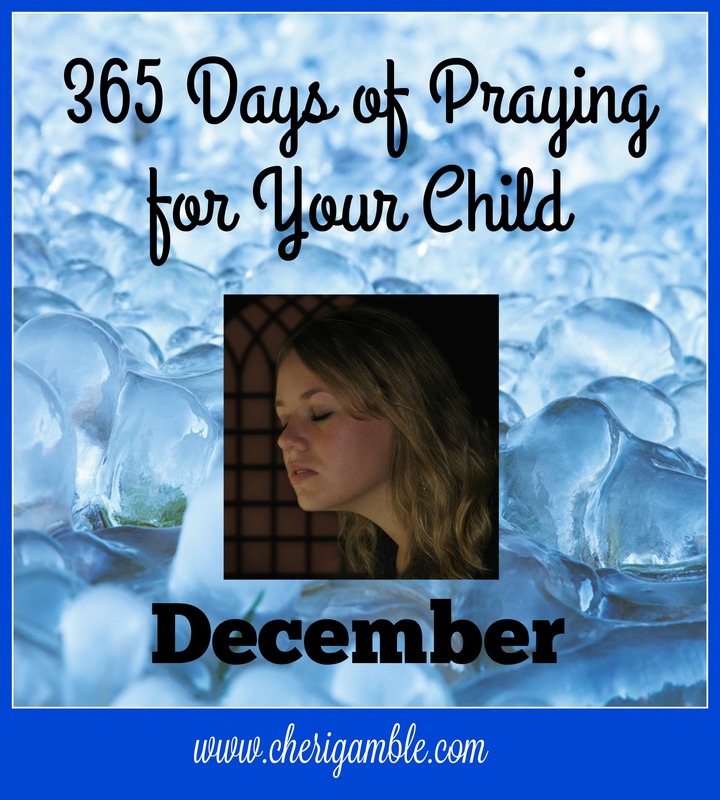 And now, here is the final installment of 365 Days of Praying for Your Child! If you are looking for a gift for your preteen, check out “My Brother’s Feet Smell as Bad as Noah’s Ark (and 30 other devotions that stink!)“. This book will help your child get in to the Word of God in a rather unique way in 2016! Also, if you are looking for a new devotional for you, check out “Banana Bread & Mismatched Socks: 100 Devotional Thoughts From My Every Day Life”. This is a devotional that will encourage you (and maybe even make you laugh!) as you go about your daily life.